Rotamap provides a set of services designed to improve staff resourcing in NHS trusts, with a focus on consultant-led departments. 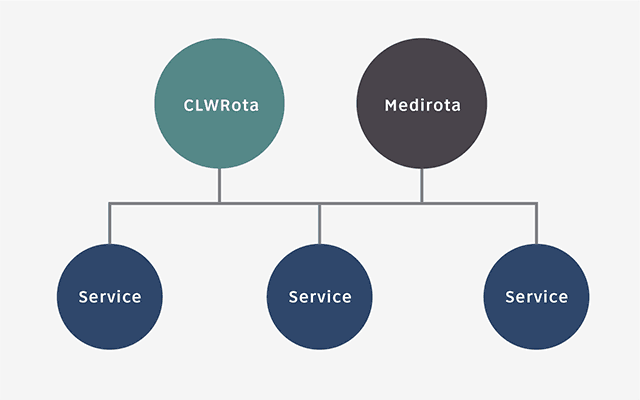 Rotamap is primarily composed of CLWRota, a rota management system for anaesthetics departments, and Medirota, a similar system for clinical, medical and surgical departments. Tools allow information within one rota to be 'mapped' to other rotas. Additional services include Medimessage, a messaging application for keeping departments and users in touch with each other and RotaMC, a department and staff productivity console. Rotamap provides a single umbrella under which these applications and services can operate. It is intended that all the parts of Rotamap interoperate over time. In June 2016 the company name was changed from eRota to Rotamap to recognise the importance of integrated rotas and the degree to which clinicians depend on up-to-date information across their teams in order to collaborate better. Rotamap started with the development of CLWRota by Campbell-Lange Workshop and the anaesthetics department of South Manchester Hospital (the Wythenshawe) in 2005 under the direction of Drs. Neil Braude and Nick Wisely. CLWRota started being used by the department to run departmental rotas in 2007. Medirota was initially developed for the Whittal Street Sexual Health Clinic in Birmingham. Work began in 2010 on the new system and the system was in production later that year. In 2013, Campbell-Lange Workshop became eRota Ltd., in order to focus purely on NHS rostering applications. To contact a member of the team, please visit our contact page.